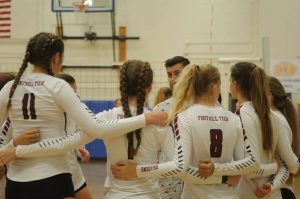 On Sept. 6, the girls’ varsity volleyball team faced off against a talented Grace Brethren High School team, who entered the game sporting a record of 8-2. The Dragons, meanwhile, came into the matchup with a less impressive overall record of 3-6. Junior varsity head coach Brittney Mukhar assumed the role of acting varsity head coach due to the absence of Kris Gullatt, the team’s usual head coach. 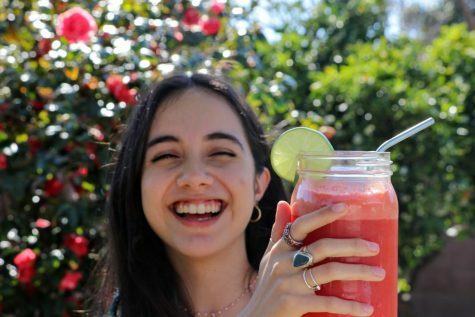 “My number one goal is just to have fun and get everyone in there and have the opportunity to play and just come together as a team,” she explained. The team came together, and Mukhar capitalized on the opportunity of coaching the varsity squad. 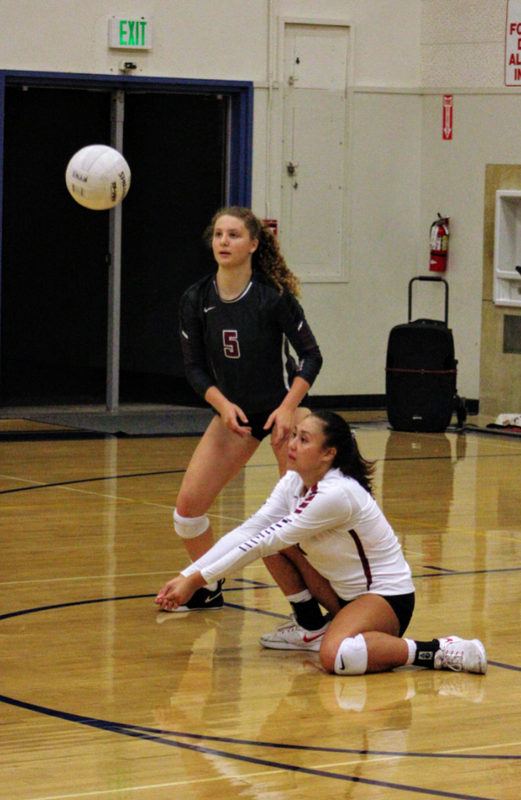 When it was all said and done, the Dragons came away with their first league win of the 2018 season, taking the Lancers to five sets and eventually coming out on top in the Cabrillo Middle School gymnasium. The first set opened with a kill from Lexi Malone ‘19 to give Foothill a 1-0 lead, but Grace Brethren responded and hung tight with the Dragons. 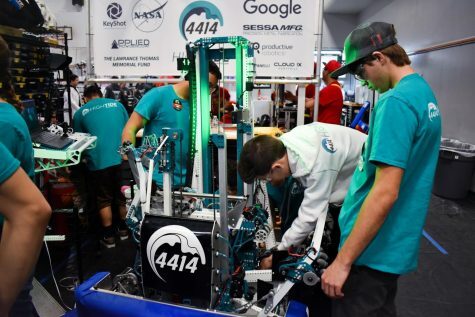 Although they kept it close, the last time Foothill had a lead in the set was when they had an 11-10 advantage. The Lancers were able to use a few scoring runs to eventually pull away and win the first set with a score of 25-19. Meanwhile, the second set featured the Dragons pulling even to tie the set score at one apiece. 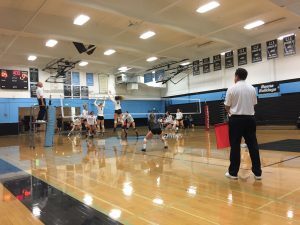 At one point, Foothill held a 20-15 lead and attempted to win the set with a comfortable margin, but the Lancers were able to trim it down to three. Nonetheless, it led to a 25-21 set win for the home team. 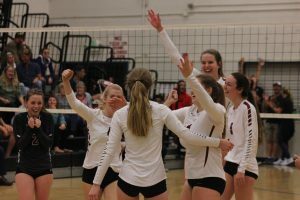 Grace Brethren reacquired that same momentum that they had possessed in the first set by scoring three points right out of the gate in the third set. This led to what became a 20-11 score in favor of the Lancers, but Foothill would not crumble so easily. They outscored Grace Brethren 6-5 in the final 11 plays of the set; however, these five points were all the Lancers needed to take a 2-1 overall lead. 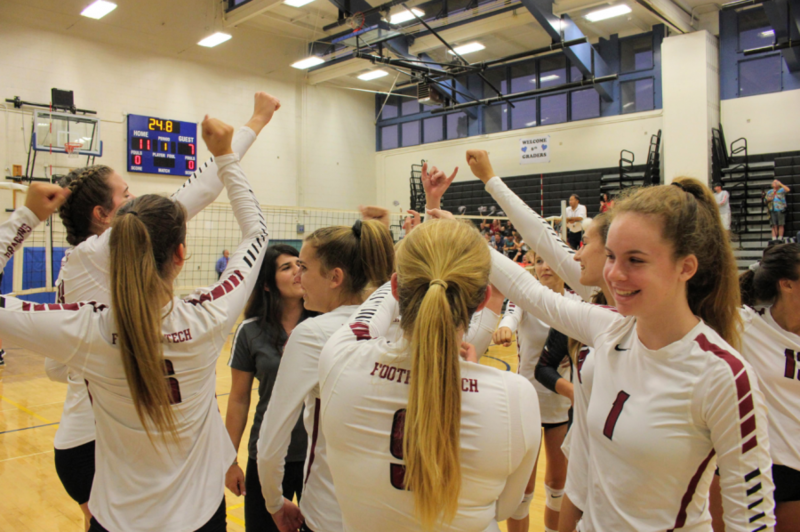 Right after that 25-17 set loss in the third, Foothill decided to flip the script in the fourth set: this time, it was a 25-17 victory to tie the overall score at two apiece. 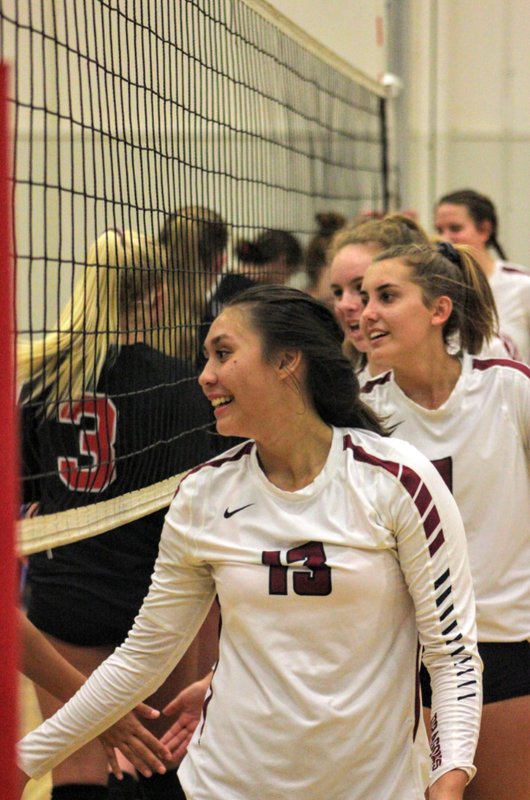 As the numbers indicate, the Dragons were able to manage eight points of breathing room to take it to a fifth set, but it was anybody’s set in the early stages: after the first 26 plays, it was knotted at 13-13. 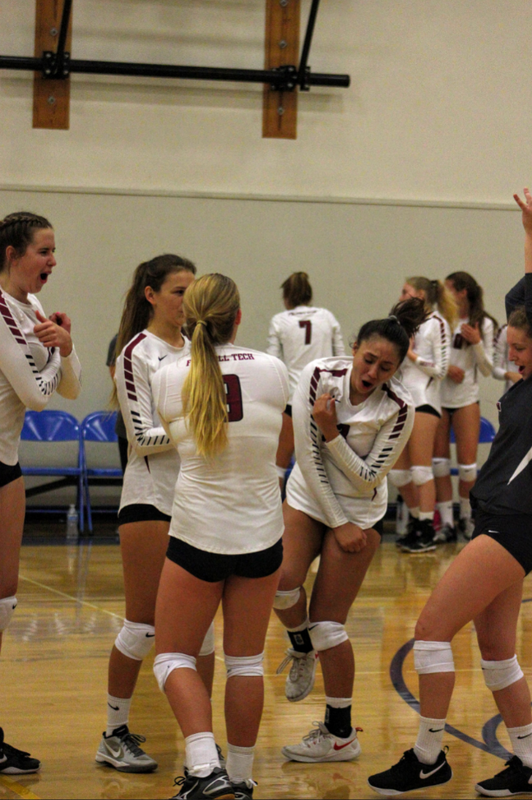 This was until Foothill took complete control in a 12-4 scoring run over the final 16 plays to claim the fourth set. 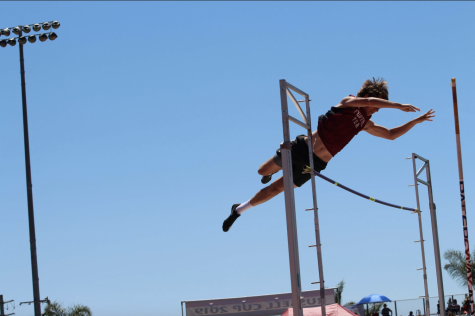 It is noteworthy that over the course of this 2018 season, Foothill is no stranger to five-set games. 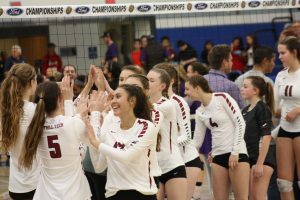 According to Mukhar, the team has “taken every single game five sets” and she “was kind of prepared from the get-go that we were going to go five sets” with the Lancers. 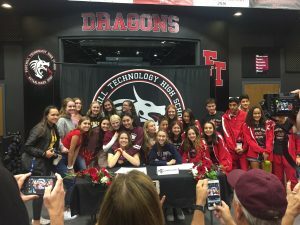 Haley Higgins ‘19 explained that since going five sets has become the new normal for the team, it allows them to have a leg up on the competition. It was this notorious fifth set for the Dragons that once again resurfaced with a league victory hanging in the balance. Both teams traded points for quite some time, leading to a 7-7 deadlock. 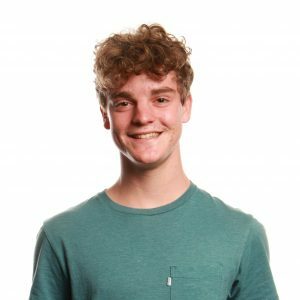 However, the balance was clearly shifted on the 18th play of the set, in which a ball that looked to be unplayable was saved by Foothill and dropped on the Lancers’ side of the net. 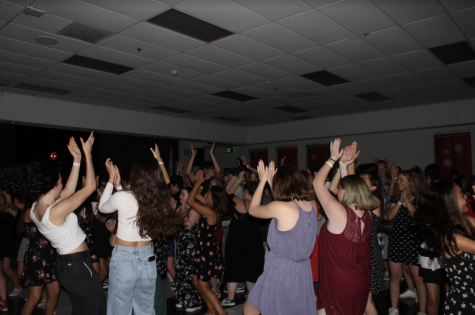 From there, the crowd erupted as the Dragons coasted to a 15-12 victory in the game winning set. 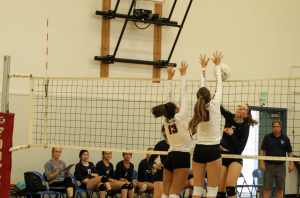 Up next for the girls’ volleyball team is a home match against league opponents La Reina High School on Sept. 11. With a win, the Dragons would raise their league winning percentage over .500 for the first time this season, so it is understandably a significant game for the players. 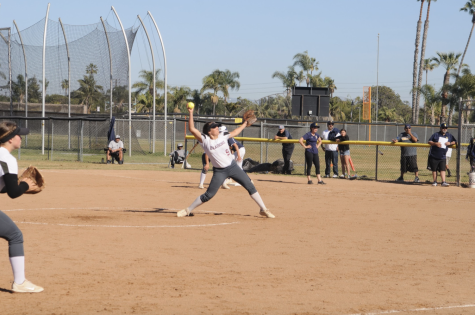 Alyssa McClain ‘20 believes that “we’re ready” for the matchup against La Reina and hopes that “we can work better as a team together” to the same degree as the Grace Brethren win.